For more than 20 years, Sydney Seafood School has been teaching us how to prepare and cook the wonderful array of seafood found in our oceans and rivers. Now, for the first time, the School shares its wealth of tips and techniques, along with more than 80 outstanding recipes from Australia's leading chefs. Try your hand at Pete Evans' garlic prawns, David Thompson's grilled barramundi curry or Alex Herbert's fish'n'chips. Or treat your friends and family to Tetsuya's crudo of leatherjacket, Neil Perry's bar rock cod tagine or Frank Camorra's Galician-style octopus. There's also expert advice on choosing and storing seafood, plus step-by-step photos of essential techniques, including filleting and butterflying fish, shucking oysters, cleaning squid and octopus, and preparing crabs, prawns and bugs. 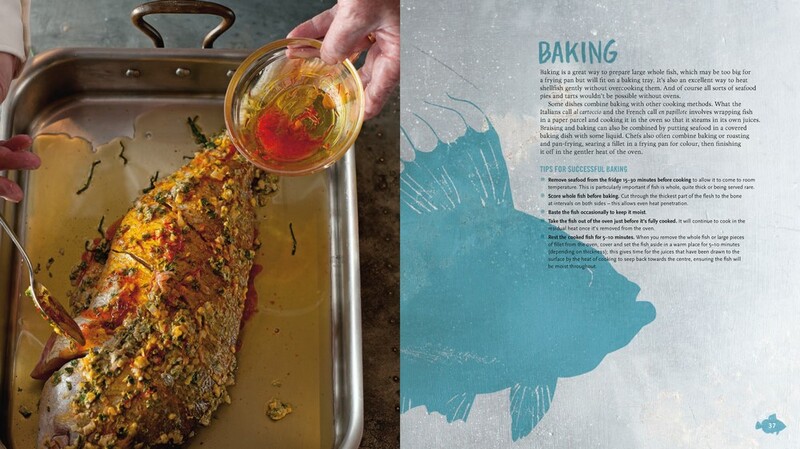 With beautiful photos of all the recipes to help you decide what to make, and illustrations of the various species so you know what to look for at the fishmonger, Sydney Seafood School Cookbook will give you the know-how and confidence to prepare seafood at home – with delicious results every time. Roberta Muir manages one of Australia's leading cooking schools, Sydney Seafood School at Sydney Fish Market. She holds a Master of Arts degree in Gastronomy from the University of Adelaide, and is the author of the Sydney Seafood School Cookbook and 500 Cheeses; she also assisted Janni Kyritsis with his cookbook Wild Weed Pie. 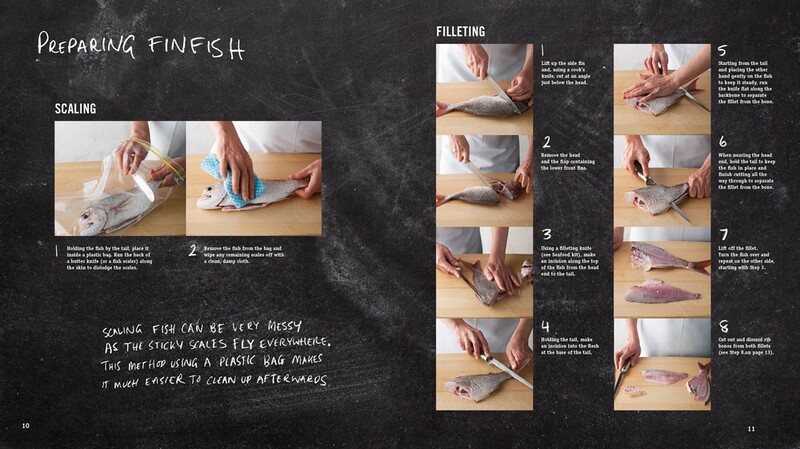 Answers all your questions about cooking seafood at home. Sydney Seafood School was opened in November 1989, when Australia's obsession with food was in its infancy. What we now call 'Modern Australian' cuisine was just emerging, French cooking dominated the restaurant guides, and Asian ingredients that are widely available today (such as lemongrass, kaffir lime and fish sauce) were still considered exotic. The New South Wales fishing fleet caught plenty of whiting, snapper and flathead to supply the local market, and, in doing so, they also netted octopus, red mullet, leatherjacket, crabs and other species that most home cooks didn't know how to prepare. A large part of the catch was sold as bait – or for next to nothing to those who did appreciate it – so the School was established to teach people how to cook some of the more unusual species and help create a demand for the huge variety of seafood found in our oceans. 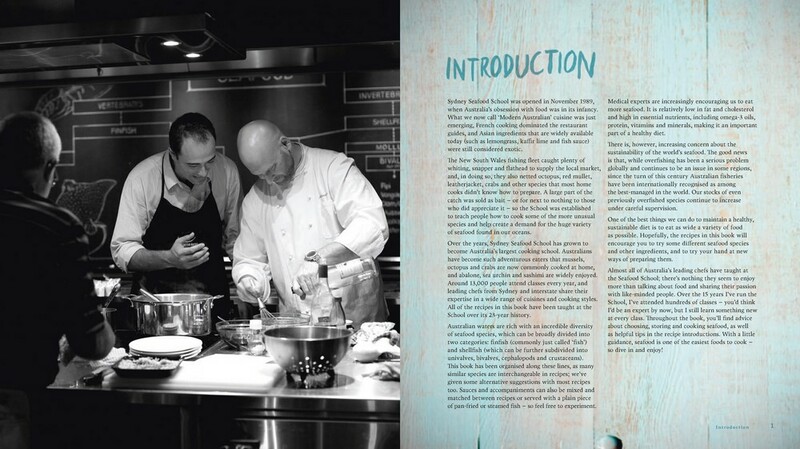 Over the years, Sydney Seafood School has grown to become Australia's largest cooking school. Australians have become such adventurous eaters that mussels, octopus and crabs are now commonly cooked at home, and abalone, sea urchin and sashimi are widely enjoyed. Around 13,000 people attend classes every year, and leading chefs from Sydney and interstate share their expertise in a wide range of cuisines and cooking styles. All of the recipes in this book have been taught at the School over its 23-year history. Australian waters are rich with an incredible diversity of seafood species, which can be broadly divided into two categories: finfish (commonly just called 'fish') and shellfish (which can be further subdivided into univalves, bivalves, cephalopods and crustaceans). This book has been organised along these lines, as many similar species are interchangeable in recipes; we've given some alternative suggestions with most recipes too. Sauces and accompaniments can also be mixed and matched between recipes or served with a plain piece of pan-fried or steamed fish – so feel free to experiment. Medical experts are increasingly encouraging us to eat more seafood. It is relatively low in fat and cholesterol and high in essential nutrients, including omega-3 oils, protein, vitamins and minerals, making it an important part of a healthy diet. There is, however, increasing concern about the sustainability of the world's seafood. The good news is that, while overfishing has been a serious problem globally and continues to be an issue in some regions, since the turn of this century Australian fisheries have been internationally recognised as among the best-managed in the world. Our stocks of even previously overfished species continue to increase under careful supervision. One of the best things we can do to maintain a healthy, sustainable diet is to eat as wide a variety of food as possible. 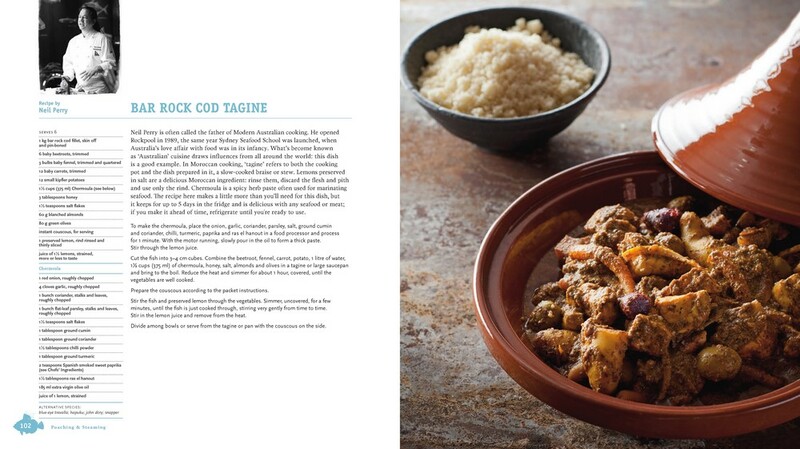 Hopefully, the recipes in this book will encourage you to try some different seafood species and other ingredients, and to try your hand at new ways of preparing them. Almost all of Australia's leading chefs have taught at the Seafood School; there's nothing they seem to enjoy more than talking about food and sharing their passion with like-minded people. Over the 15 years I've run the School, I've attended hundreds of classes – you'd think I'd be an expert by now, but I still learn something new at every class. 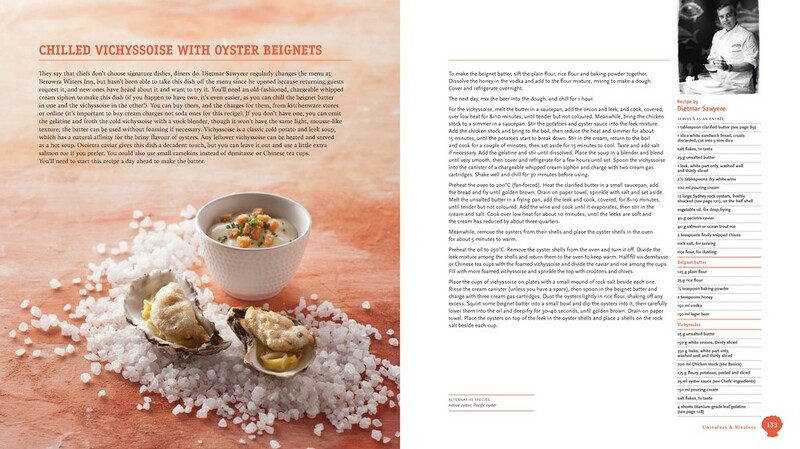 Throughout the book, you'll find advice about choosing, storing and cooking seafood, as well as helpful tips in the recipe introductions. With a little guidance, seafood is one of the easiest foods to cook – so dive in and enjoy!